Heritage Place Hotel a great place to stay! - Booking rooms now! Come alone or bring your family with you. Stay here for a night, for weeks or months. Stay here while on a business trip or while attending a special occasion event. Our Hotel is here to accommodate your needs. 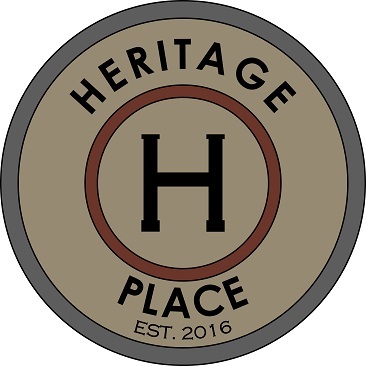 Heritage Place has self-service check-in and check-out. The rooms have been fully equipped to provide all the comforts of home. Our staff come in before guests arrive to ensure every suite is thoroughly cleaned, disinfected and stocked. They service each suite as needed during a guest’s multi-day stay or after a guest has checked out. Guests do not have to go through any formal check-in or check-out procedure. Guests arrive and go directly to the suite they reserved. Entry to each suite is made via a programmed key pad entry lock that is set with a custom code chosen by the guest prior to their arrival. For check out, all the guest needs to do is lock the door of the suite upon departure. If during the guest’s stay there is an emergency or a situation that needs to be attended to by hotel staff the guest is provided a list of contact numbers so their issue can be promptly addressed. • Rooms may be canceled at least seven days before the reservation. The reservation fee less a $25.00 administration fee will be refunded to the credit card the room was booked with. •	Rooms canceled within seven days of a reservation will be non-refundable. Location: We are located in downtown Saint Johns, Michigan at 118 North Clinton Avenue.